From the landing of English barons, to the days of Katherine Hepburn and raucous members of the Rat Pack, to today’s luxury resort, Saybrook Point — and Old Saybrook — has a colorful and fascinating history. Step back in time and discover Saybrook’s journey from the past to our present. For thousands of years, the Point has marked the spot where the great Connecticut River flows into Long Island Sound. The area was home to Algonquin Indians, and then the Pequot, who harvested the rich waters where the river and sound met, and established a thriving culture. In 1623, the Dutch, in a tug of war with the British over land and access to the lucrative fur business that stretched up the river to Quebec, settled in Saybrook Point to establish a permanent colony. The town grew, and by 1701 it was so important a location, that a group of scholars chose it as the birthplace of Yale University, then called the Collegiate College. The religious and political leaders spent 17 years learning in the spot that is now Cyprus Cemetery in Old Saybrook, before moving to New Haven in 1718. Today, the place of the university’s founding is still marked, and Saybrook College is the name of one of Yale’s twelve residential colleges, a tip of the hat to the University’s place of birth. The go-to fancy restaurant and hotel at Saybrook Point during this era, the Pease House ran a 25 room operation right along the train line. The House was a staple among Old Saybrook residents, hosting characters like Barbara Maynard who is the namesake of a room in Tall Tales. 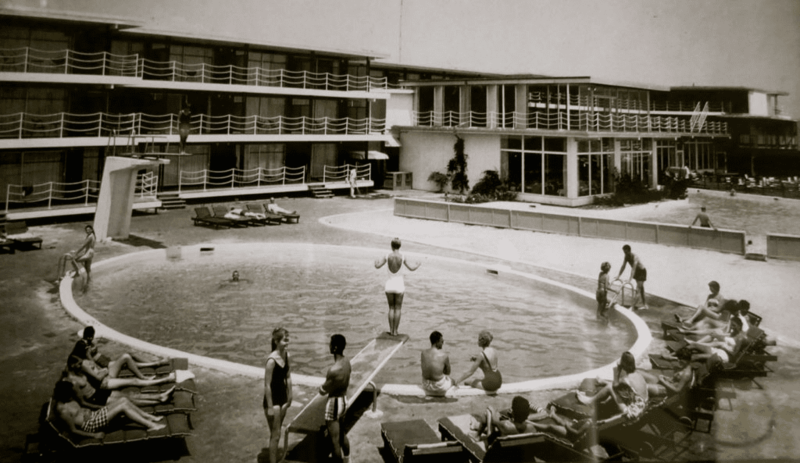 In 1957, a group of investors decided to replace to the Pease House with a new resort and marina called Terra Mar. During this time, the inn was known to have some lively regulars, including members of the Ratt Pack, and others who would take their yachts from the Hamptons up to the Point. Owned and operated by the Tagliatela family since 1980, the Saybrook Point Inn & Spa has adapted and changed over the years, winning numerous awards for its often best-in-class green practices, including the first Connecticut inn to be named a Certified Energy Hotel in 2007. In 1980, Louis and Mary Tagliatela bought the unoccupied and dilapidated Terra Mar Hotel and Yacht Basin at auction. Nine years later, the Tagliatelas replaced Terra Mar with Saybrook Point Inn. Today, Louis and Mary Tagliatela’s son, Stephen, runs the property, along with their daughter, Tricia Tagliatela, who oversees the Inn’s decor and ambiance, and their son, Louis Jr., who oversees capital projects. The Inn now includes Sanno, the property’s full-service spa that opened in 2012, as well as Fresh Salt, a restaurant designed by Peter Niemitz, which opened with strong reviews in 2011. The destination employs more than 260 hospitality professionals, and is among the town’s top employers and economic engines.